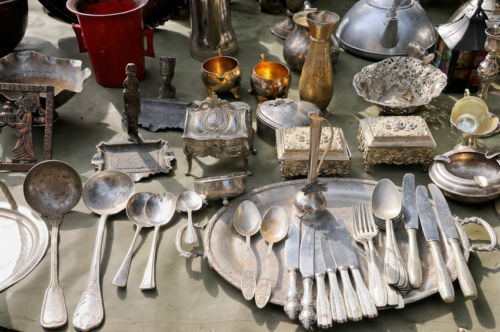 Is it Silver Patina or Tarnish on your Silver antiques? Silver Tarnish will appear as a dull, yellowish, gray or black film on the surface of the Silver. After a pro-long period, forming an all round blackening of the Silver object. Silver Patina is a gorgeous, rich, warm, soft, lustrous finish that forms over time as a result of use and handling. When tarnish is left in the small creases and recessed areas of Silver Jewelry pieces, it is called patina. Tarnishing process coupled with hand polishing causes pieces to develop a rich patina. New and unused silver has a factory shine or mirror bright surface on which patina has not had a chance to develop. Patina is part of the living finish of silver and should be appreciated. Tarnish and Patina are not the same. Patina is very desirable on antique silver. 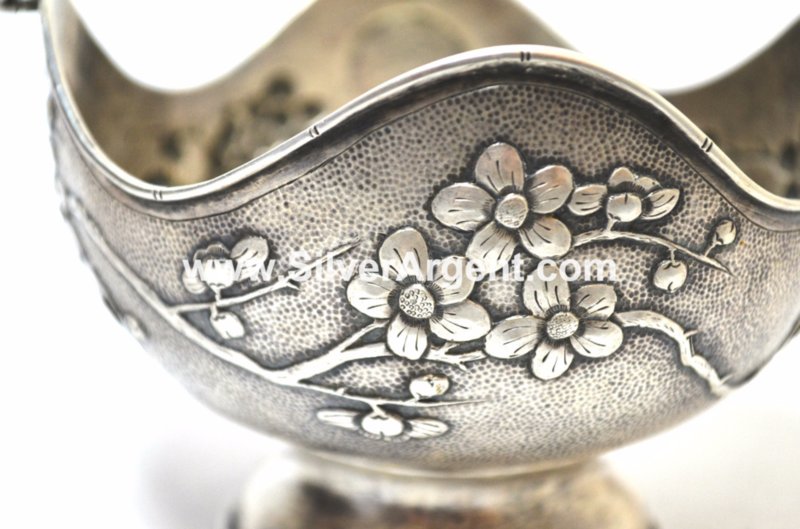 Swing Basket Bowl by Tuck Chang (Chinese Export Silver) Circa 1900 with beautiful patina. Silver dips are made with extremely corrosive chemicals. Yes, it does removes all if not most tarnish. But it also does removes the Silver particles. 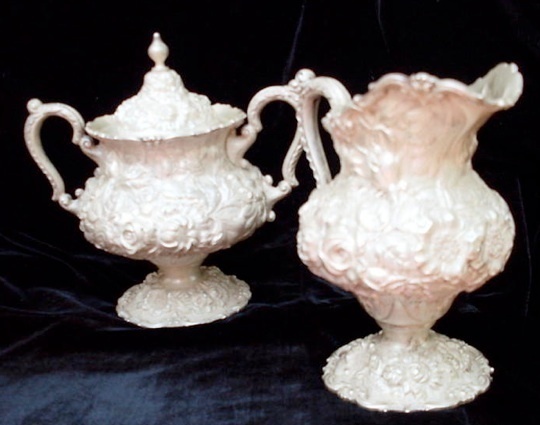 Items are lighter after been Dip in Silver Wash.
Another extremely important point is, Silver dip gives the Silver a lifeless, white dull appearance. 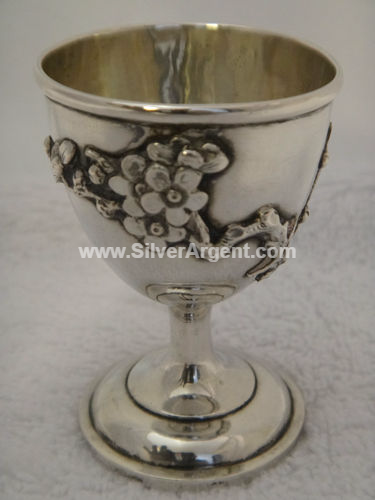 Silver Dip can significantly decrease the value of your antiques or Chinese Export Silver. This damage is normally irreversible by normal collector and requires the help of Silversmith to reapply the patina.